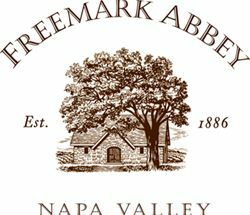 To join the wine club, visit www.freemarkabbey.com or call 707-302-3717. Freemark Abbey offers two options for a Wine Club membership. As a Partners Club member you will receive four bottles of limited release red wines three times per year. Our Josephine Club Members receive a six bottle allocation of our two single vineyard wines and Josephine Red Wine. Members enjoy complimentary tastings at the bar, up to 20% off on wine purchases. Members receive invitations to unique exciting events, and additional exclusive privileges. Complimentary tasting for resident and one guest daily during regular Tasting Room hours in our Historic Tasting Room. 10:00 a.m. - 5:00 p.m. Reservations required for groups of 6 or larger.